Spring racing begins in earnest for classics contenders and the GC riders alike, but Paris-Nice and Tirreno-Adriatico have changed a lot. After months out of the headlines, the peloton’s GC riders step boldly into the spotlight this week with two of Europe’s most prestigious and important stage races. Stage racing returns in dramatic fashion in the first major European races of the calendar with the 77th Paris-Nice, which started Sunday, and the 54th Tirreno-Adriatico, beginning Wednesday. 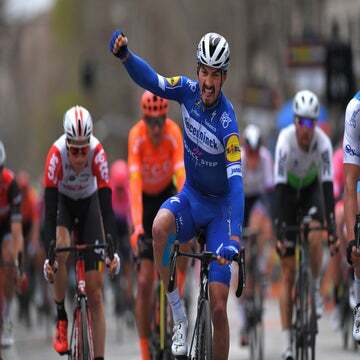 “The Race to the Sun” and the “Race of Two Seas” — Paris-Nice and Tirreno-Adriatico, respectively, the season’s first WorldTour stage races in Europe — are two of cycling’s most historical and prestigious stage races. Cycling fans and riders alike hold both races in high esteem. Not only are they the first major test for the main GC contenders in the peloton, but some of the most important luminaries in the sport have also won these events. Top riders like to try to check them off at some point during their career. The level and intensity at Paris-Nice and Tirreno-Adriatico continues to increase as both races have incrementally become more difficult over the past decade. Tirreno-Adriatico used to be a race that sprinters like Oscar Frèire could win. And Paris-Nice would often be decided by a time trial or the final mountain stage. Neither was overly difficult, but that’s certainly changed as organizers have upped the challenge of terrain and blueprints of both races. Both races promise scintillating action in the sprints and the GC competition. This year’s Paris-Nice is especially severe with a balanced course that should press the peloton from start to finish. While sprinters will get their chances in the opening three stages — Dylan Groenewegen (Jumbo-Visma) won Sunday’s opener — things get lumpy around the Massif Central in stages 4 and again in stage 6 down by the Mediterranean. A potentially race-breaking 25.5km individual time trial waits in stage 5. 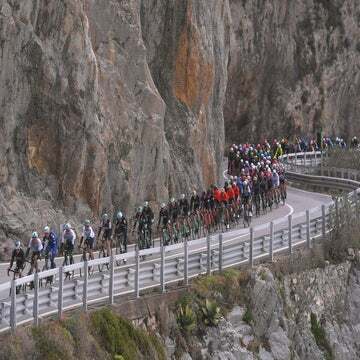 Climbers will take over in stage 7 that ends atop the Col du Turini summit, while organizers bring back the same finale as last year when Marc Soler (Movistar) delivered a thrilling final-day victory. Over in Italy, Tirreno-Adriatico opens and closes with time trials; a 21.5km stage 1 team time trial in Lido di Camaiore that will scramble the GC right out of the gate. The pancake-flat power course will favor the likes of CCC, Jumbo-Visma, and Team Sky, giving any squad that posts a strong ride an early race advantage. It’s rare for the traditional 10km closing individual time trial in San Benedetto del Tronto to decide the final winner — that’s usually meted out on the snowy spine in the Apennines. This year’s route, however, neglects any Terminillo-style climbs and is instead spiked with lumpy stages and punchy uphill finales, so things could come down to the final TT. It’s maddening to some that two of the season’s top stage races overlap at such an important part of the season. Neither organizer wants to change their dates, however. ASO doesn’t want to see Paris-Nice run a week earlier because it could spell doom with the already wintry weather that can swamp stages in northern France and the Massif Central. And RCS Sport likes Tirreno-Adriatico as the natural lead-up to Milano-Sanremo (March 23). As it stands now, neither wants to budge. Both races have had their ups and downs. ASO saved Paris-Nice a decade ago while RCS Sport is sprucing up Tirreno-Adriatico. Neither are big money makers — insiders say most European one-week races these days are lucky to break even — but both races are an important part of cycling’s European legacy. As both courses have become gradually more difficult, the intensity of the competition has grown with it. Long gone are the days when a race like Paris-Nice was almost seen as spring training. By March, riders have been racing at the WorldTour level since January. With Milano-Sanremo just around the corner, classics-bound riders are near their peak. And the same goes for would-be winners, who will likely come off hot results in the early season stage races. Little more than a decade ago, Tour favorites like Alberto Contador or Bradley Wiggins would be racing to win at Paris-Nice. This year’s race is so hard that some of the favorites for July don’t want the intensity so early in the season. Chris Froome (Sky) isn’t racing again until Volta a Catalunya later in March, so it’s a chance for ambitious up-and-comers to prove their mettle. At Paris-Nice, riders with something to prove will be among the GC favorites. Simon Yates (Mitchelton-Scott), who lost last year by seconds to Marc Soler (Movistar), looks to hone his form before going to the Giro d’Italia in May. Nairo Quintana (Movistar), Ion Izagirre and Miguel Angel Lopez (Astana), and Egan Bernal and Michal Kwiatkowski (Sky), last year’s Tirreno-Adriatico winner, all start with ambitious goals. Romain Bardet (Ag2r La Mondiale) could be France’s best chance to win since 1997. At Tirreno-Adriatico, it will be interesting to see what kind of condition Sky’s Geraint Thomas brings. He’s been easing into 2019, and likely won’t be racing for the win. Other pre-race favorites in a stacked field include his Sky teammate Wout Poels, Jakob Fuglsang (Astana), Vincenzo Nibali (Bahrain-Merida), Primoz Roglic (Jumbo-Visma), Adam Yates (Mitchelton-Scott), and Julian Alaphilippe (Deceuninck-Quick-Step). Peter Sagan (Bora-Hansgrohe) also returns to competition following a hiatus since early February and a high-altitude training camp, and he will be pushing the pace in his final tune-up before the important date at Sanremo. The takeaways? Tirreno-Adriatico often tips a possible winner at Sanremo, but Paris-Nice rarely sees a rider later winning the Tour de France. The last Tour winner to also claim Paris-Nice was Wiggins in 2012 (Contador won Paris-Nice in 2010 but had his Tour win later that year stripped as part of his clenbuterol case). Milano-Sanremo winners such as Paolo Bettini, Nibali, Kwiatkowski, Filippo Pozzato, and Frèire all won Tirreno-Adriatico, but never in the same years they won down the Via Roma. Fabian Cancellara won Tirreno and then Sanremo a few days later in 2008 (and Strade Bianche a few days before).